What Can Your One Heart Touch™ Practitioner Do for You? HAC Feedback, Testimonials, Referrals, etc. 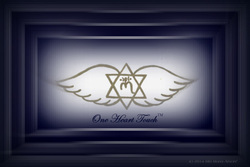 What is One Heart Touch™? What is the Season of Peace? What Can We Do By Distance? If you are wondering just what your One Heart Touch Practitioner can do for you, please take a look at the chart and information listed below. The Healing Arts Center registers each of our students and maintains records of the training each student undergoes. As a student completes each level of training, we record their certification for that level in our registry. Be sure that your OHT Practitioner is both registered and certified with the Healing Arts Center to ensure that your session or special procedure is being provided to you by an authentic and properly trained One Heart Touch Practitioner. To find out what OHT sessions and special procedures your practitioner is registered and certified to do, please read the following or check out the quick reference chart below and compare it with his or her training level. With each degree of training, the practitioner is empowered and attuned to do more with the energy and symbols that we use in OHT in an exponential sequence. With the 1st degree of training, the initiate is not attuned to provide OHT services or do OHT sessions. This is sheerly an initiate level that is for personal use only. With the 2nd and 3rd degrees of training, the OHT Practitioner is instructed and attuned to use the OHT energy and symbols for Healing work for him/herself and for others – for the current lifetime – including the 9-chakra energy system, the Basic OHT session and a few special procedures. Moving into the 4th degree of training, the OHT Practitioner is taught and receives the necessary attunements to create and anchor OHT Energetic Environments. The 5th and 6th degrees of OHT training empower the practitioner to do Intermediate level sessions for the 26-chakra energy system – for this lifetime and the past lives of the client. Moving into the 7th degree of OHT training, the practitioner is instructed in the use of the OHT Wheel of Cycles and is attuned to the necessary energies required to do planetary Healing work, as well as Wheel of Cycles charts and consultations. The 8th degree of OHT training provides instruction and attunements to the energy and symbols necessary to work with the 89-chakra energy system and do the Advanced OHT session – for the current lifetime of the client, the past lives of the client, and other lifetimes of the client's Soul Family. The OHT Master Practitioner, Master Instructor, and Grand Master can provide you with any of the OHT sessions and special procedures. Please keep in mind that many One Heart Touch Practitioners are also schooled in other Healing modalities. Each practitioner has his/her own methods of combining those other modalities with One Heart Touch. A wonderful example of this combination is using the energies of OHT with massage. If you have any questions about the session, special procedure, or other service you would like, be sure to discuss it with your practitioner. If you would like more information on One Heart Touch sessions and special procedures, please review the descriptions of them here. If you are interested in more information on OHT training, you will find it here. What Can Your One Heart Touch Practitioner Do for You? © Copyright 2012-2015 The New Gaea Foundation™. All Rights Reserved. No portion of this page may be reproduced, copied, or downloaded in any form or through any media without the written permission of The New Gaea Foundation™.